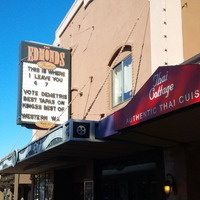 The Edmonds Theater is a historic single-screen theater. Built in the 1920s, the Theater is independently owned and operated. We are committed to providing the Edmonds community with quality first-run movies at an affordable price. Theaters are not be more work on the single play at the time but it will be the historically mentions on the every theater news and dramas. Very prominent thing is by https://ukessaysreviews.com/assignmentmasters-co-uk-review website this theater was very famous with student’s life.